Obviously it's a play on the word "phonetics." It's also the name of our reading app and our patented reading curriculum. But FUNetix® is also the term we use to refer to our patented decoding system of diacritics. 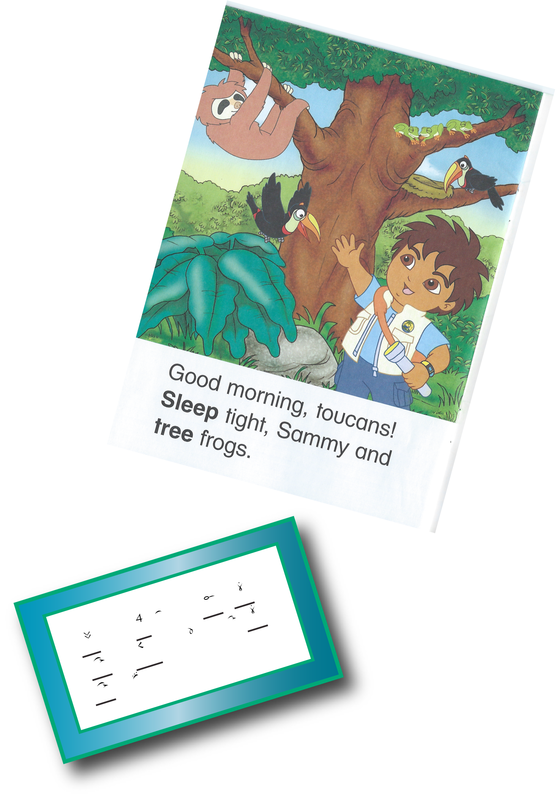 When Kindercode™ symbols like Acorn and Eagle are positioned above a word, they tell the reader what sound the letter or letters below them make. When they are positioned in a diacritic position we call them FUNetix. In the word "beach," for example, the letters "ea" and "ch" would be underlined. Above the "ea" would be placed an Eagle symbol, and above the "ch" would be placed a Check symbol. This tells the reader that in this particular word, the "ea" makes the /ee/ sound and the "ch" makes the /ch/ sound. In another word, such as "head," we would place an Elephant symbol above the "ea" because in the word "head," the "ea" makes the "short e" vowel sound /eh/. At the American Youth Literacy Foundation, we use diacritics to transition children from Kindercode to "Legacy English." FUNetix diacritics unlock the mystery and fill in the missing pieces that EVERY English word suffers from. Below is an example of a book that might be enjoyable for children to have read to them by a parent. Even this seemingly simple children's book is too hard for most beginning readers. The reasons that most new readers would struggle with the text are manifold. For example, the first word ("good") has an "oo" that makes the /uuh/ sound in English instead of the /oo/ sound, so children could get confused by that fairly consistently. 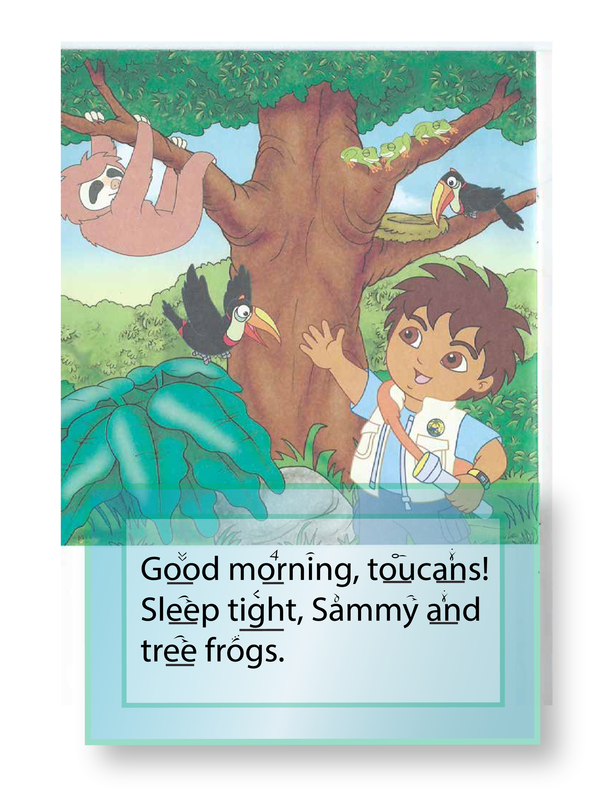 Meanwhile, a few words later, the word "toucan" DOES have an /oo/ sound, but it's made by the phonogram "ou" instead of the more traditional "oo." "Ou" more often, but certainly not always, makes the /ow/ sound, as in the word "out." A few lines later there's a silent "gh." 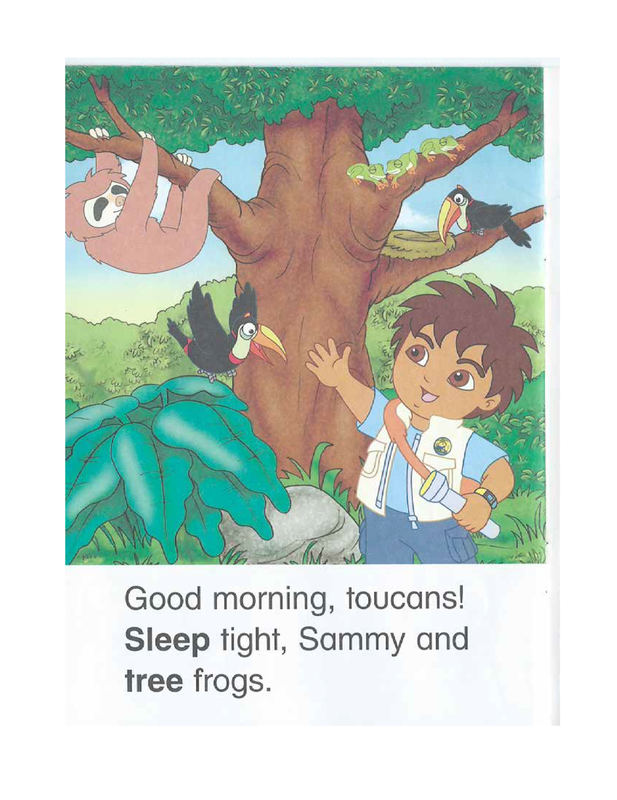 Further still, the "y" at the end of "Sammy" makes the long /ee/ sound and not the "consonant y" sound at all; and so, as you can see, at least 4 out of 9 of the words on this fairly simple looking page of a popular children's character book are stumbling blocks for new readers. Back to the Magic Decoder (which is really just diacritics for English). Let's call our magic decoder FUNetix. Let's underline two and three letter phonograms that represent a single phoneme (in other words, where two or three letters combine to make a single sound, such as "ee") and we'll put a symbol from the Phonibet on top to show children the sound that that particular combination of letters makes in that specific word. Single letters that deviate from the norm, including vowels, silent consonants and consonants that change their sound when followed by "i" or "e," for example, will also be given diacritics. Children who know the Phonibet and Kindercode easily make the transition to FUNetix. They require little to no adult guidance when reading, and are able to decipher complex English words completely on their own. Once children become familiar with the underlying pattern of a given word, they no longer need diacritics to properly and fluently read that word. This is because the brain requires very few impressions in order to remember a given pattern and its associated meaning. We only require COMPLETE DATA, especially the first few times that we decode letter strings and blend letters together to form new (never before seen) words. Many adult's have the unfortunate misconception that a child's mind is slow, or that reading is something that requires years of adult assistance. We have developed this misconception because for years we have asked children to do something somewhat challenging, but have denied them the complete tool set they needed to complete the mission. It would be like asking your 4 year old to go out and learn how to ride a bike without training wheels. No parent would consider placing such a handicap on their own child, so why must we handicap children when it comes to reading? The simple answer is "We don't have to, we never had to, and we will never have to again now that we have FUNetix®!" Over the past 15 years we've answered a lot of questions about how children learn to read. We've applied a lot of neuroscience and now fully understand WHY our patented reading system works so well, and why it works better than ANY phonics curriculum available in the marketplace today.